A key to ENJOYABLE praying: Learn to GAZE! 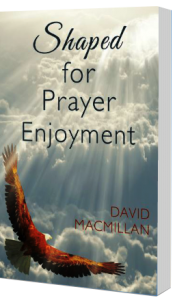 Praying is meant to be enjoyable. Not only a discipline but a delight. Dutiful but joyless praying is often the reason for prayer gatherings being thin in attendance or disappearing completely. It’s difficult to sustain what isn’t enjoyed. Our joy in prayer is not only in the celebration of answers but the celebration of access to the Throne. When prayer routine stifles that celebration of access it impoverishes our praying. Learning to see Him, to gaze unhurriedly and respond is central to growing in prayer enjoyment.